We are mapping all of those ports (8081-8083) because of the next posts in the series. For this post, we’ll actually only need port 8081. Nexus 3 will go up on port 8081. Default credentials are admin/admin123. You might want to create a volume to map the Nexus data folder to your host, adding the option -v /opt/my-nexus-data:/nexus-data. I suggest you to create a new blob store for each new repo you want to create. 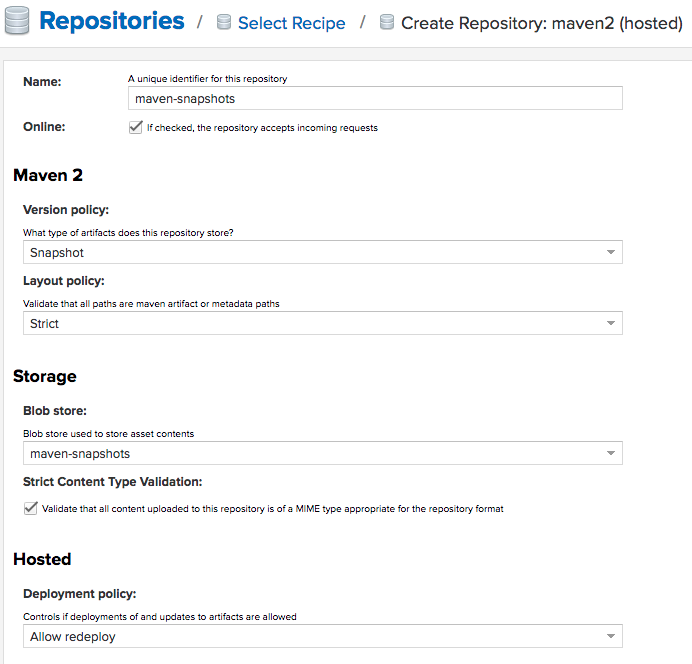 That way, the data for every repo will be in a different folder in /nexus-data (inside the Docker container). But this is not mandatory for it to work. 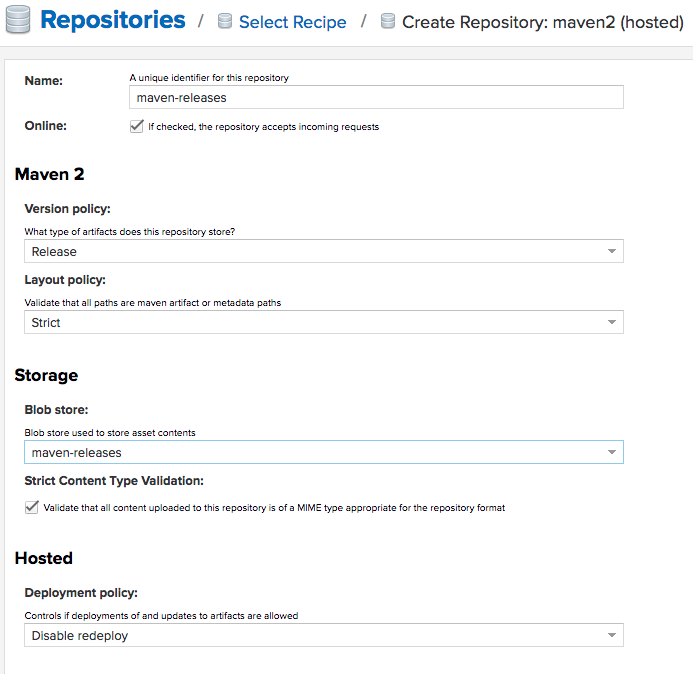 A repository that proxies everything you download from Maven Central. 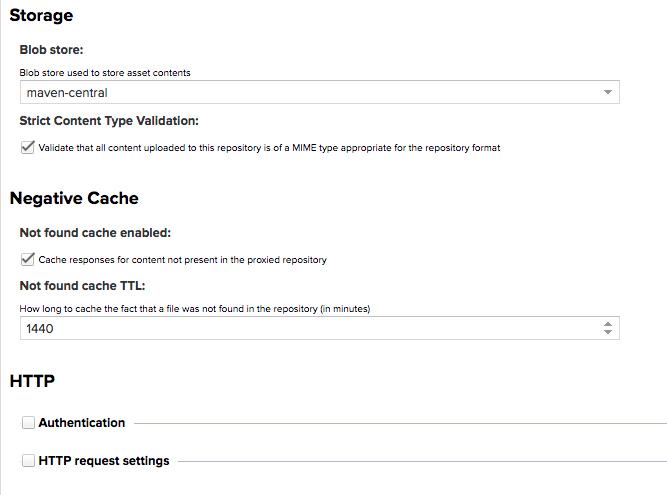 Next time you download the same dependency, it will be cached in your Nexus. 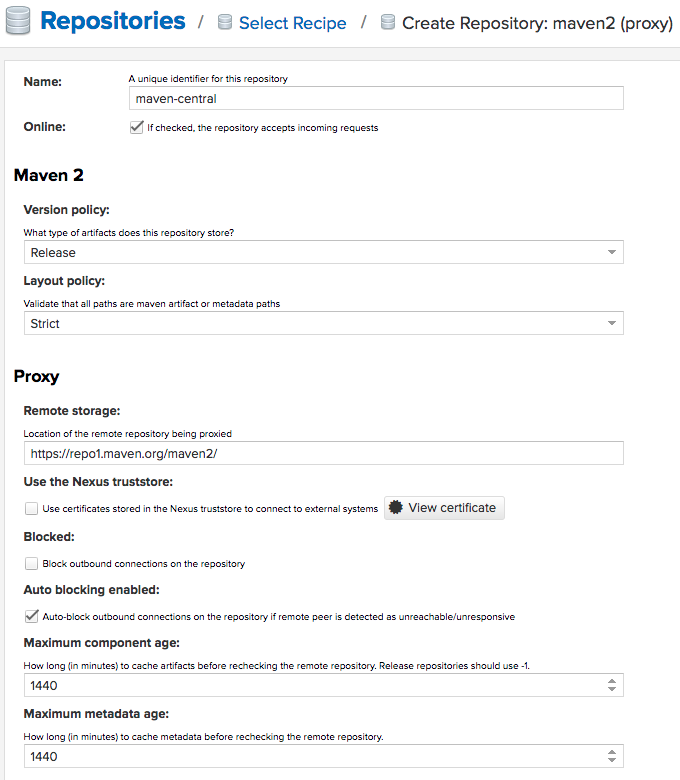 This will group all the above repos and provide you a single URL to configure your clients to download from/deploy to. 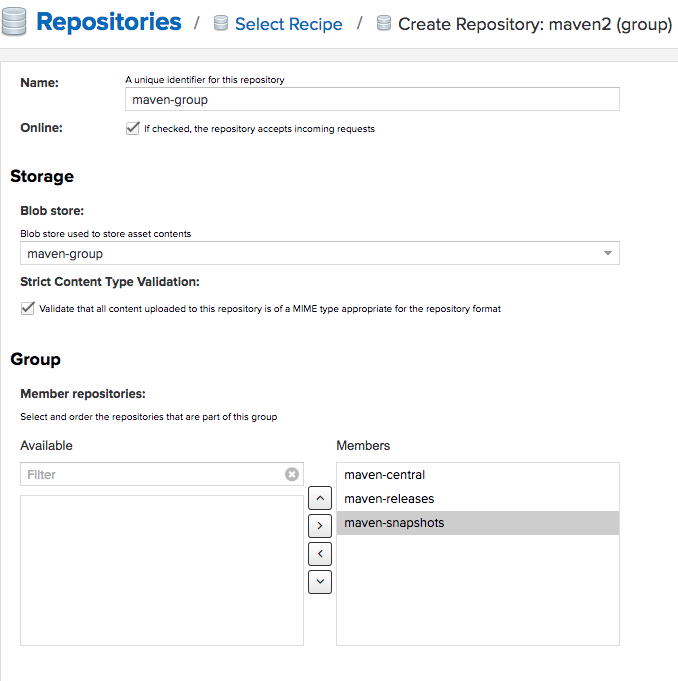 You can create as many repos as you need (like proxies to other public repos) and group them all in the group repo. And now configure your projects. your mvn will point to your Nexus instance.